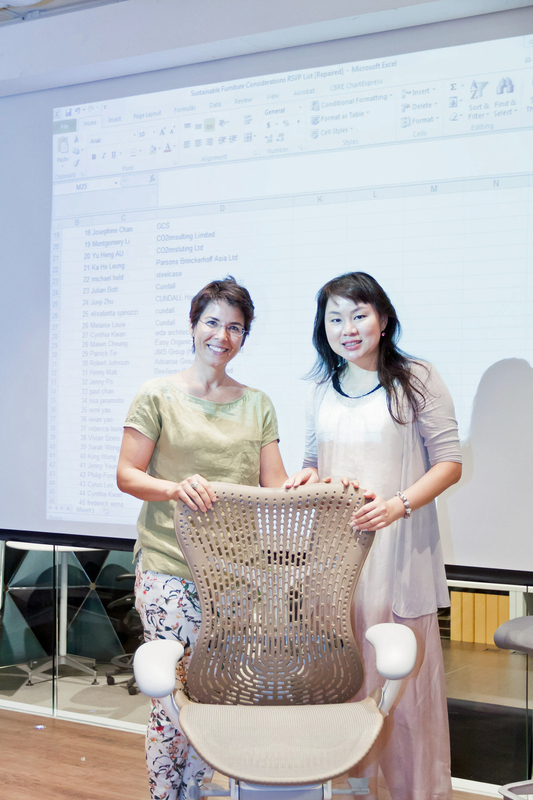 The Sustainable Furniture Considerations event hosted by Platinum held on 1 September, 2015 in the Herman Miller and POSH Showroom received many favourable comments from the approximately 60 industry professionals present. A panel comprised of various specialists shared their sustainable experiences when buying, reusing, selling, recycling, disposing and donating furniture to organizations such as Crossroads. There was also healthy participation and questions raised from the audience. Supporting slides and material can be downloaded here. One of the great outcomes as a result of collaborating for this event was the development of a partnership agreement between Herman Miller and Crossroads. In addition, participants learned more about the great initiatives undertaken by Crossroads and the impact they have had on improving other people's lives. You can visit www.crossroads.org.hk to learn more. Congratulations to Jenny and Lars who were winners of a Herman Miller Mirra 2 chair and Crossroads X-perience Simulation for 20 or more people respectively.